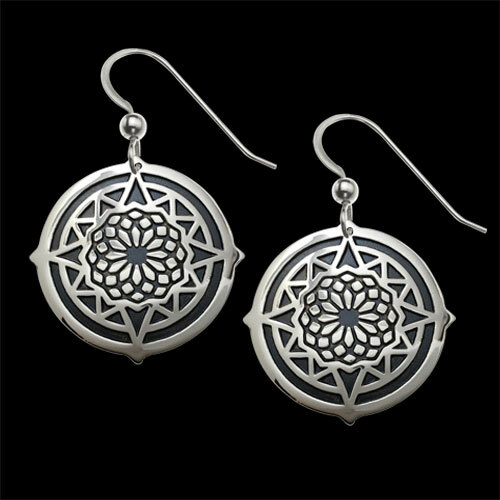 Sterling Silver Spirit's Presence Earrings by Metal Arts Group. It is said that each person has a guardian angel, bringing blessings of protection, guidance, and peace. 0.9 x 0.9 inch Sterling Silver Spirit's Presence Earrings by Jody Bergsma. Made in USA.